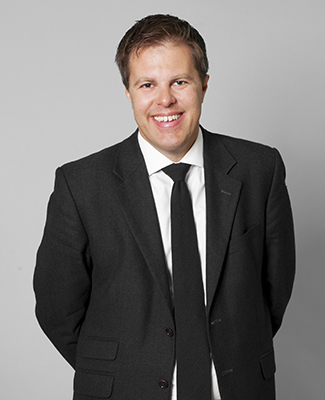 Greg is a children law specialist who is known for his expertise in difficult circumstances. He acts for parents and guardians in disputes regarding children’s living arrangements and when local authorities have issued care proceedings. He is calm and composed under pressure, and a measured yet passionate advocate of his client’s case. Alongside his mainstream practice, Greg has expertise and experience in the more technical aspects of children law including special guardianship, fact-finding hearings, temporary or permanent relocation of children and child abduction. He understands the particular issues involved where there are allegations of physical and sexual abuse, substance abuse, domestic violence, emotional harm and neglect. He is experienced in parental alienation cases and other circumstances where contact between parents and children has broken down. Greg also acts for parents, guardians and local authorities in adoption and care proceedings. Together with leading counsel he acted in a case that had been listed for a seven week fact finding hearing in the High Court; securing the return of the client’s child to her care. Greg regularly acts for clients who are survivors of domestic violence and is a sensitive and committed representative in negotiations and in court. His attention to detail and ability to achieve practical, lasting solutions in difficult circumstances is remarked upon by clients. He is familiar with concurrent criminal proceedings and Public Interest Immunity applications. Greg has experience of working with indigenous rights groups in New Zealand and volunteered for the Human Rights Commission in Auckland. He has worked in the UK with children with emotional behavioural difficulties, epilepsy and autistic spectrum disorder. He is involved in overseas projects addressing children’s rights in conflict zones. He has worked with government officials, UN agencies and NGOs in Israel and the Occupied Palestinian Territory on the treatment of Palestinian children by the Israeli military (Children in Military Custody).